The publisher will not purposely disclose any information that is inaccurate or misleading ------- its readers. The publisher will not purposely disclose any information that is inaccurate or misleading to its readers. The publisher will not purposely disclose any information that is inaccurate or misleading its readers. × Tomorrow it is snowing. × She is falling ill next week. The publisher will not purposely disclose any information that is inaccurate or may mislead its readers. ①　I will see you in 30 minutes. ②　I will see you after 30 minutes. × I'll be back after 10 minutes. 〇 I'll be back after lunch. Remove the cake from the oven after 10 minutes. The bomb will explode after 5 minutes. Tokyo Gov. Yuriko Koike has received the results of an internal investigation regarding the problem of the decision not to conduct land elevation work under building sites at the Toyosu market. The investigation could not specify who made the important change to the original plan without even asking the opinion of experts. 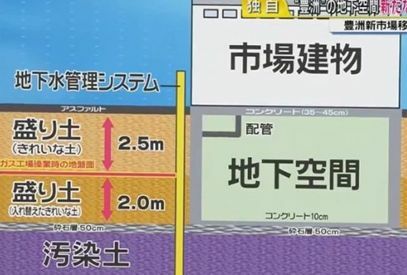 To deal with the problem of contamination, the experts’ council, set up by the metropolitan government from Ishihara's idea, decided on soil replacement and land elevation throughout the entire compound at a meeting on May 19, 2008. ●Be sure to use the supplied AC adapter. Otherwise, an electric shock may occur. Help your partner whenever and whatever you can. Otherwise his or her stress will become your own. ●Do not use a damaged power cord. Otherwise, an electric shock may occur. Don't be naughty, otherwise you'll get a spanking. ●Do not use a damaged power cord. Doing so may cause an electric shock. I’m sending this e-mail through our client, XYZ Corporation based in Japan. We have researched reliable translation companies over the years, and recently, we were introduced to your company by XYZ. They offer positive assessment on your company’s overall services including translation quality. If conditions are met, we would like to begin business with your company. We were introduced to your company by XYZ. I was introduced to John by Mariko. ★ We were referred to your company by XYZ. ・My doctor is referring me to a dermatologist. ・My complaint was referred to the manufacturers. If you introduce someone to another person, you tell them each other's names for the first time. ●Maybe you should do it. 例文）You want [He wants] to go to a doctor. Come on: you don’t want to keep them all waiting. want to do は、「...したい」と「...する必要がある、...しなければならない」の意味があり、The man wants to watch. は曖昧で、He desires to watch. と It would be a good thing for him to watch. の両方が可能 [Fowler-Burchfield (1996)]。後者は、特に、should や ought to の意味で、助言や忠告を与えるのに用いられる： If possible, you want to avoid alcohol. You want to be very careful not to have a man like Crevecoeur for an enemy. You want to look where you’re going, mate. There will be a short introductory session [ ] the empowering women seminar that is scheduled to take place later this month. There will be a short introductory session [about] the empowering women seminar that is scheduled to take place later this month. There will be a short introductory session [during] the empowering women seminar that is scheduled to take place later this month. There will be the short introductory session [during] the empowering women seminar that is scheduled to take place later this month. I bought a book about Shakespeare. I bought the book about Shakespeare.